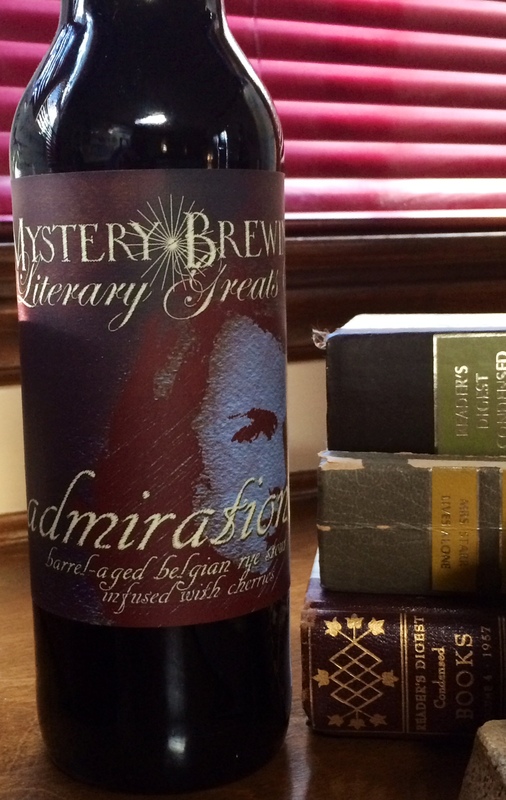 On January 10, 2015, Mystery Brewing released the 3rd in their Literary Greats Series. Each quarter, Mystery releases a new Literary Greats installment. The other installments of the Literary Greats series include Sophocles and Admiration. 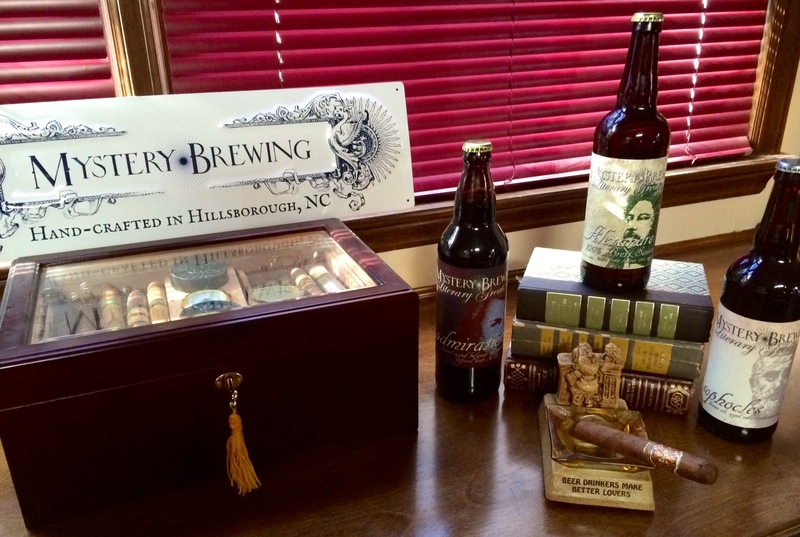 On my visit, I was fortunate enough to have a tour given by the Founder and CEO of Mystery, Erik Lars Myers (check out his book, North Carolina Craft Beer and Breweries). As an added bonus, the business partner and chemist, Andrew Turner for the brewery was also on the tour. The newest release, Alexandre, was exceedingly pleasant on the palate. 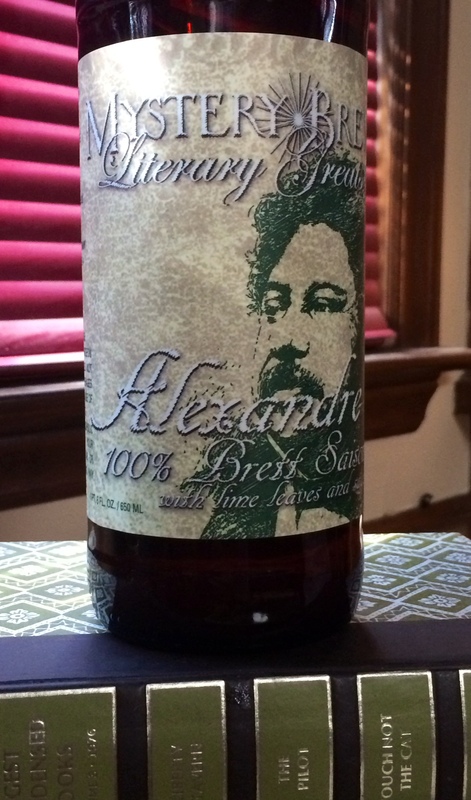 Alexandre is a 100% Brett Saison with lime leaves and sage. 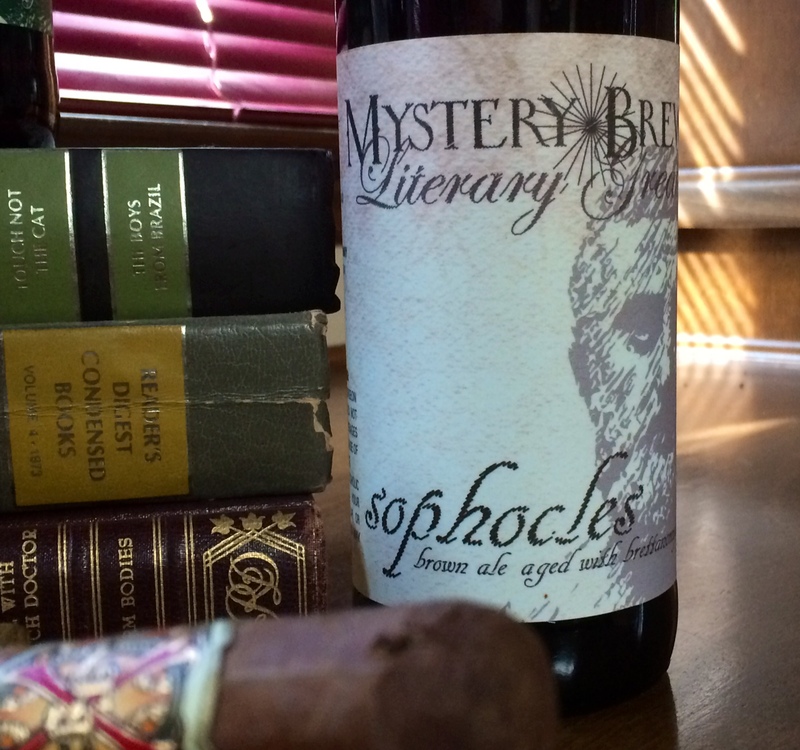 Boasting a hefty 8% ABV, this is one of Mystery’s highest alcohol beers. It is an excellent drink now, but I’m holding on to a bottle or two for a bit to enjoy later! Mystery Brewing presents a unique concept. It is a rustic-style brewery that was started in 2010 as a result of a highly successful Kickstarter campaign. The brewery concept was so well-received, the Kickstarter campaign raised $44,000 to start the brewery. Mystery is a seasonal-only brewery brewing all unfiltered beers. 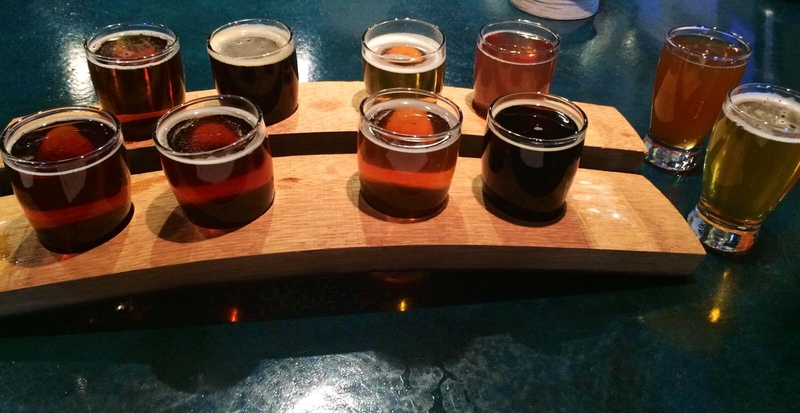 They have no flagship beers, however they offer a variety of seasonally-appropriate beers which can be enjoyed each year during their given season. If you’re looking for a light, refreshing summery pilsner, Mystery is not the place to go; however if you are looking for excellent seasonal beers carefully planned to mirror the beer styles of the season, Mystery is your brewery! While on the tour, I was able to enjoy several of the beers, which made for an even more delightful tour. Erik was very knowledgeable about the ingredients used to brew their beer, the process of moving the brews during each stage of production, and the equipment. It was very interesting (but at times a little too over my head in the science department) to hear about the process of creating the yeasts used in the beer. In fact, Erik has created his own proprietary strain of yeast that was once in a bottle of Dupont Saison de Miel. This proprietary strain went through many batches and several mutations before Erik perfected his yeast. 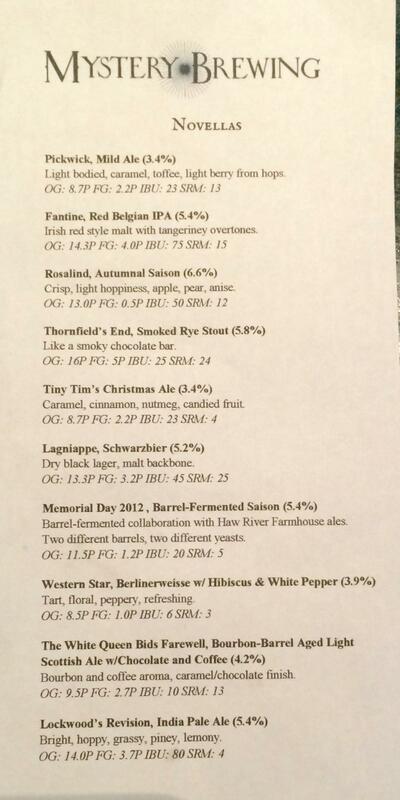 Of the beers available at the brewery, listed above, my favorites were Six Impossible Things and Alexandre. The Public House, located just around the corner from the brewery, offers a wider selection of Mystery’s beers. They also offer small plates, including olives, jerky, and cheese and meat plates. Hillsborough BBQ is located a few doors down from the Public House if you’re in the mood for a little more substantial accompaniment to your beers. Hillsborough BBQ and the Public House have a “symbiotic” relationship, so patrons of the Public House can order BBQ and it will be delivered to the Public House. The small plates and BBQ looked great, however I was so full from all the tasting, I was unable to try any food this visit. Thornfield’s End- notes of smoked meat with a sweet taste mid-palate. It was very enjoyable. The White Queen Bids Farewell- a nice blend of coffee and caramel, but it had a somewhat watery mouthfeel. Perhaps a little more time in the bourbon barrel would have made this one even more pleasing.